A few years ago the media had stories on top of stories about a young woman who was diagnosed with terminal brain cancer for which there was no cure. She decided that rather than endure a debilitating and painful death, she would choose the “death with dignity” option and select the time of her own demise, before she was no longer able to make that decision herself. 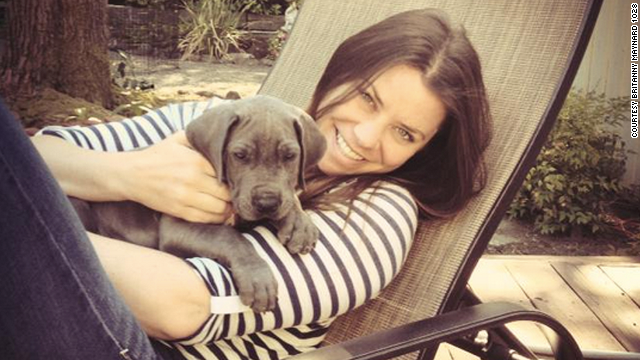 Brittany Maynard was married in 2012 to her sweetheart of five years. They had their entire lives ahead of them; to travel, to enjoy being a wife, and then eventually become a mother. But within a year, at the age of 28, Brittany was given a devastating diagnosis. 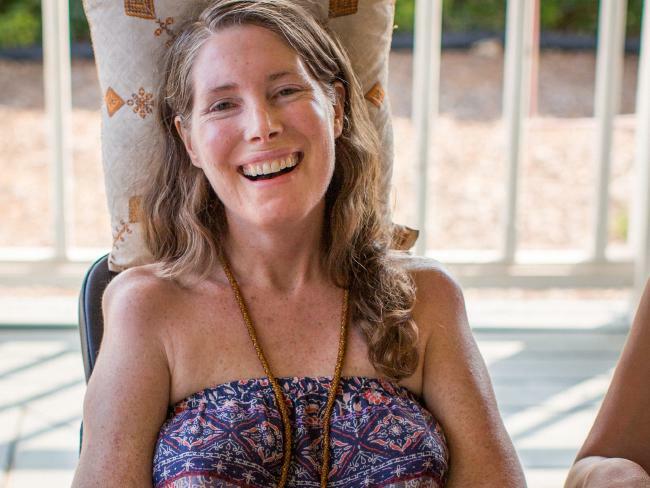 The doctors painted a horrible picture of what she would go through as the disease progressed, including horrible headaches, frequent and severe seizures, eventually being unable to care for herself at all. Suddenly both of their lives changed. Together they made the difficult choice for Brittany to enjoy the activities she loved as long as she could; to travel and see the places of the world she’d always wanted to see. To participate in all the activities she loved and those she’d always dreamed of doing. And then, when she was at the point to where she was going through so much pain, and daily seizures, she would end her life when she chose, surrounded by her family who loved her so very much. She gained national and even international recognition because of her decision. Many people were very outspoken about her decision, criticizing her for “committing suicide” rather than fighting; for going against God’s commandments against murder by killing herself; for not having enough faith that God would heal her. Many others supported her decision, and still others cried out that this would eventually lead to laws forcing euthanasia for the elderly and terminally ill.
Brittany ended her life the way she had planned on November 1, 2014. A few weeks ago I read about another young woman, Betsy Davis, who had been diagnosed with ALS, better known as Lou Gehrig’s disease. ALS is always fatal; there is no cure. Persons with this disease end up wheelchair-bound, eventually unable to do anything for themselves at all; their muscles atrophy and do not work any longer. Not only can they not do anything for themselves, they cannot move, or even blink their eyes; their lungs slowly stop working and they end up suffocating because they can no longer breathe. It is a horrible death. Betsy had been a painter, a sculptor, and a performance artist. Towards the end she could do none of that, nor could she move on her own or even scratch an itch. She spent most of her last days in a portable bed, facing the possibility of choking to death when she tried to eat or even take a sip of water. So she decided to throw a two-day “rebirth” party for friends and family, sharing memories, dreams, food, and just having fun. She encouraged her friends to take whatever mementos, books, paintings, etc. from her home as remembrances of her; she asked her girl friends to try on clothes from her closet and take the ones they liked the best, enjoying a private fashion show just for them. And after two days of partying with her favorite pizzas and tamales, she drank a specially prepared “cocktail” and passed away peacefully some four hours later, surrounded by her loved ones. She was 41 years old. I am sure there will be many other Brittanys and Betsys who will end up in similar situations and will make similar decisions. But Brittany and Betsy were the only ones who could make that decision. We have no idea what they were going through. What pain they were in. They both knew exactly what they were facing; we do not. While I have total faith in the Lord to heal, and I have seen Him do miraculous healings, I can also say that were I in that situation, I have no idea what I would do. I haven’t walked in those shoes, and I do not ever want to. This does not mean that my faith is not strong. It is. But I also know that the Lord elects to heal in His own way. There are times that He heals through doctors. There are times that He heals by His miraculous intervention. And there are other times that He does the ultimate healing, and calls that person Home to be with Him in Heaven. Scripture tells us in Hebrews 9:27 “…it is appointed unto men once to die.” Even though Jesus raised his friend Lazarus from the dead, Lazarus eventually died and passed into Heaven. We don’t understand how this all works. But one day we will. And on that day all of our questions will be answered, before they are even asked. I do know that God loved Brittany and Betsy, just as He loves us all. He loved them before they made their decision, and He loved them after they made the decision. And I truly believe He was there to greet them and welcome them when they arrived at their final heavenly Home. I cannot say these women did or did not make the right choice. They both made THEIR choice; the one that was right for them. From all I’ve read, their families and friends supported their decisions. As a mother, I do not know if I could support a decision like that if my daughter felt forced to make it. I doubt I could be that unselfish. While I wouldn’t want her to suffer, I also wouldn’t want to lose her and would fight for every chance until the last breath. But that’s me. And I have not been in that place. I have lost many friends and family members to terminal diseases, even though I prayed with strong and absolute faith, believing for their healing. And they were healed; just not in the way I wanted. But I do know my prayers were heard, and answered. The Lord gives us free will to make our own decisions. While He may or may not agree with what we ultimately decide, He still gives us that right. Why do I write this now? Actually, I began writing this at the time Brittany was making headlines. But I couldn’t bring myself to finish it, or publish it, until now. But at this time, I have several friends who are facing, and have been facing, severe and potentially life-threatening illnesses, not necessarily their own, but in their families. And I felt the time to post this was now. I am not an advocate of assisted suicide; I am not an advocate of anyone taking their own life. However, there are circumstances in which hospice is necessary to assist our loved ones in their last stages of illness. How is that different to what Brittany and Betsy faced? Life is precious. It is our most precious possession. We must value it. Be thankful for it. But we cannot judge others who are in terminally ill situations, in severe pain, and know that there will be only one end. Yes, the Lord heals us all. But sometimes the healing comes in the form of the ultimate healing and going to our heavenly home to be with Him. What would you have done in their situation? Can you honestly answer that question? I can’t. I pray I never have to.